It really pains me to promote anything that has to do with Amazon, but “Guava Island” is just fantastic. 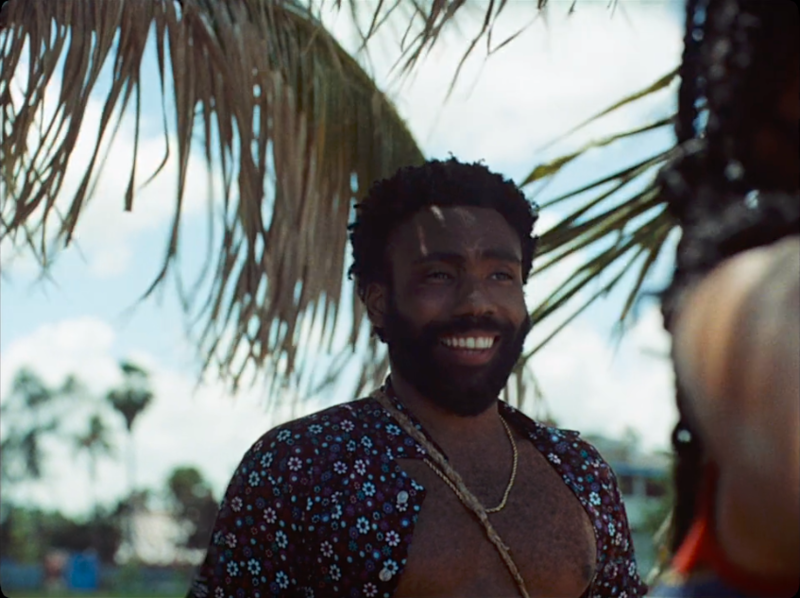 It stars Donald Glover and Rhianna and is in many ways a followup to his “This is America” so far as to actually include the number in this video. For the record, I only have Amazon Prime due to a gifted free trial, but I’m glad to have that trial overlap with this amazing video. There is so much to love about this movie. The introductory animation narrated by Rhianna was visually stunning and captured Glover’s infectious smile while brilliantly merging mythology with bananna republicanism. An appearance by Letitia Wright was another surprise. The movie was in a 4:3 ratio, which I never even noticed at first because it was so natural for the content. It was also 55 minutes which was perfect for a concise narrative such as this. But more importantly, the thought which kept popping up into my head while watching this was how dystopias such as 1984, Brazil, A Handmaid’s Tale, and Dirty Computer are trying to warn us about are already alive and well in strongman dictatorships. While I don’t encourage anyone to pay for Amazon Prime, if you find an opportunity to watch this film, I hope you seize it.